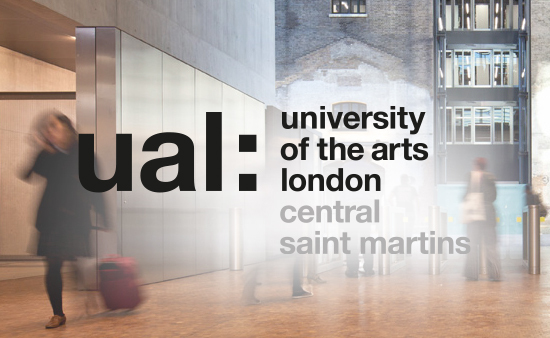 For the third year, we have been working with Central Saint Martins, the leading art and design centre based in London. 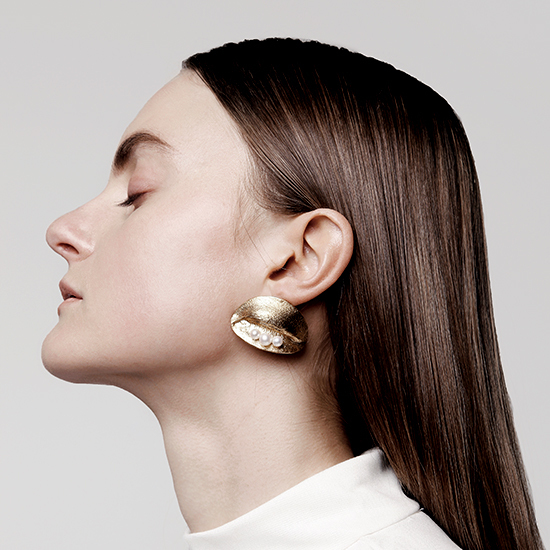 Our collaboration gives the student designers an opportunity to experience designing with pearls at CSM for their final year work, which is showcased at a sparkling Jewellery Awards Evening on 25th June. We will be awarding our Winterson Prize to one of the students for ‘The Best Use of Pearls’. The designs are also open to the public at CSM during June 24-28th. Here we feature the first in a series of short interviews with designers from the CSM Jewellery 2015 show, including in this article - Evangeline Armstrong, Hoonik Chang and Soo Hyun Jeong. Read about some of the other designers here in Part II and Part III of this series and the Winner of the Winterson Prize 2015. I have never viewed jewellery in a conventional sense - I rarely wear jewellery and haven’t got my ears pierced!. It was introduced to me as ‘3d design on the body’ or body-sculpture during the CSM Foundation. Through the duration of the BA course, I have become passionate about the subcultures that do not adorn themselves and why this is so. Starting with this project, I aim to inject fun and expression into these areas. While caught in The City at Bank during rush hour, the prominent grey colour of the palette that prevailed struck my attention: the grey faces in grey suits, set against the grey concrete of buildings and pavements, against grey skies. Uniformity is discernibly the nature of this environment as this tailored army marched the streets. The starting point from this collection grew from seeing a man sitting down at a café, flashing brightly coloured socks as he did, breaking the monotone monotony. My aim is to make a collection of Secret Jewellery for the City Businessman by working within the strict codes of dress in the business environment to eject fun and expression where adornment appears limited. 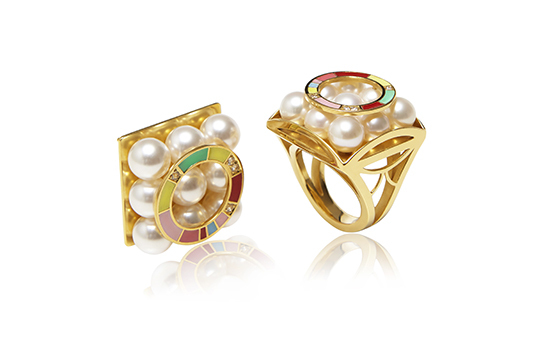 What have you discovered about working with pearls? How well they go with concrete! I think they have such a beautiful material juxtaposition. I have been discovering new ways of setting them with in a fluid mix in plasticine negative. I have favored them in a lot of projects while at Saint Martins, and think they are very versatile and non-synthetic. Having quite graphic designs, the subjectivity of a pearl's shape by being a natural object really adds a new dimension of sensitivity to my pieces. Which designer or artist do you most admire? Depends on what day it is! There are so many niches for style, mood, sensitivity and skill. For this project, tailors fascinated me: it is an age-old tradition yet has been re-invented time after time- take McQueen for example. I was greatly inspired by the BA LCF tailoring students that I collaborated with: Zoe Yates had wit, skill and sensitively novel designs that I’m sure will go far. What’s next for you after CSM? I intend to keep pushing the ‘blind spots’ in Jewellery design. Working with people and contacts gained over the years has set me up with a few fun projects that I would love to do. I am mostly open to learning and enjoying creativity. I have a plan to balance my work life/London living with enough time to focus on my creative work. It would be the most wonderful bonus to make a living out of what I Love but essentially it is the doing it that is of real reward. This I always hope to maintain. Who could you imagine wearing your jewellery? Someone who could do with more smiles in their 9-5. 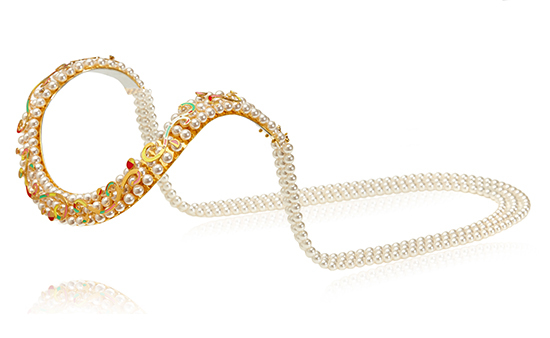 What is it that makes a piece of jewellery a design classic? I am a hardworking designer who is energetic, flexible and open for any opportunities to achieve development and improvement. I strongly believe that jewellery is a key element that has completed the fashion style throughout any historical period. My collection is designed for an imaginary Korean princess living in modern day Korea. Royal objects have a very rich, delicate and elaborate feeling so I have chosen an extensive use of materials and colours in the design and construction of this collection. The collection is a harmonized mix of Korean tradition with modern luxury fashion designed for my muse. I have discovered that pearls could be interestingly used with their drill holes. Using the holes could create any form, any shape with any materials. 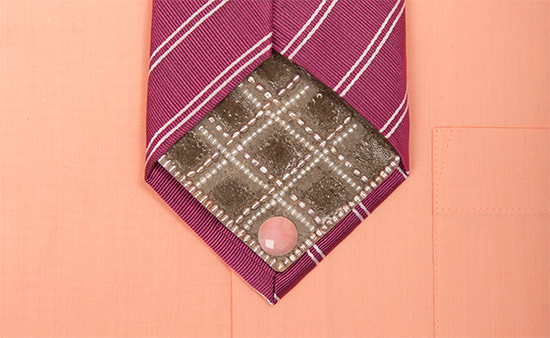 Furthermore, pearls generally give jewellery design a very classic and colourfully luxurious look. I am going Geneva to do my internship in September. Then, I would like to work in Paris or other European countries since there are various opportunities within great luxury fashion and jewellery companies there. A group that is fashionable, smart, polite, feminine and luxurious. In my opinion, the form and material of jewellery influences a design classic. I was born in South Korea and came to London in 2011 to study art and design. I started my collection by considering the issue of plastic surgery in South Korea. I wanted to talk about false desire of the beauty that people have through my collection! 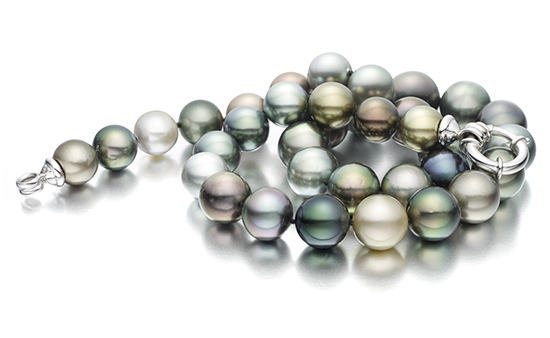 Pearls are attractive for their pure beauty, brilliant colour and how they are made. They are such an easy material to work with compared to other precious gems! The designer that I admire the most is Delﬁna Delettrez. 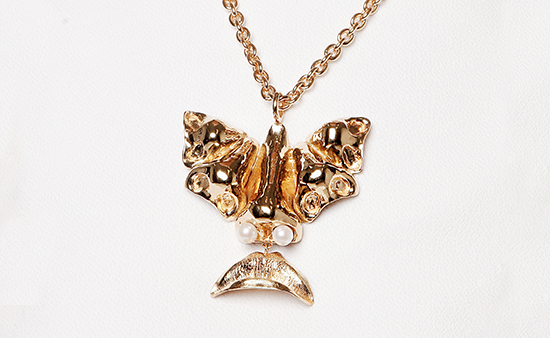 Her unusual concept has humour and she transfers this into jewellery with style. I want to experience how the real world of jewellery is and to find out more about my own style and strong points of design. I can imagine that people, who are looking for jewellery that has something new and is still wearable and ornamental, would wear my jewellery. Considering how to make wearer feel comfortable and to have pride in the jewellery is the way to make a piece of jewellery a design classic! View more of Soohyun's work here.